metkere.com is launching a joint project with Eureka magazine dedicated to the scientific ideas born in Siberia. The first issue is devoted to the destabilizing selection and domestication of foxes. The idea of destabilizing selection was initially proposed by Dmitry Belyaev, first director of Institute of Cytology and Genetics of Siberian Branch of Russian Academy of Science (from 1959). Thanks to him we now have a better understanding of the domestication process in terms of biology, primarily for the ancestors of the dogs. And that seems to be universally recognized. Photo by Institute of Cytology and Genetics. To keep it short, destabilizing selection – it’s a selection aimed on the characters variability of which is connected with variability of regulatory systems of ontogenesis, i.e. individual development of the organism. It can be artificailly stimulated as well. 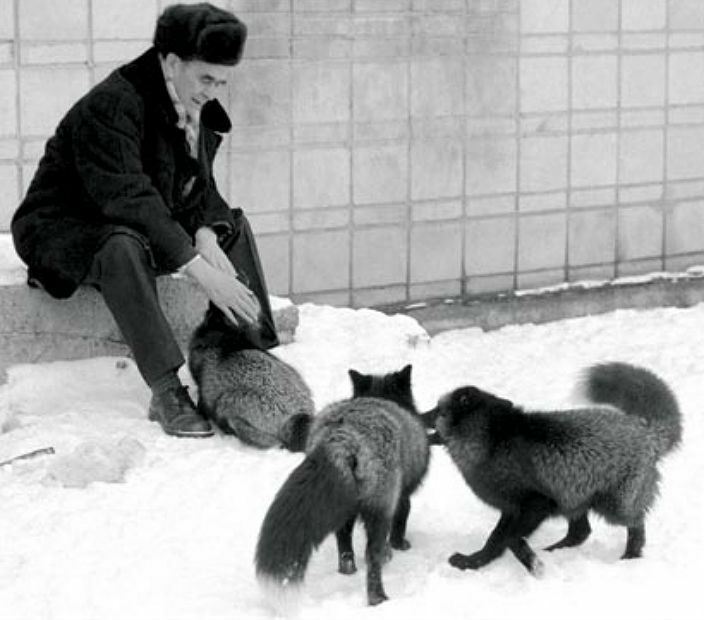 Belyaev initiated the experiment on domestication of the wild fur-bearing animals (foxes and minks) that goes on for 50 years so far. Usually around 40% of foxes have combined type of behavior – agressive-cowardly, 20% – cowardly, one third – aggressive and only every tenth fox reacts calmly towards people. This particular group chosen on the basis of the behavior towards humans became a target group for further tough selection. 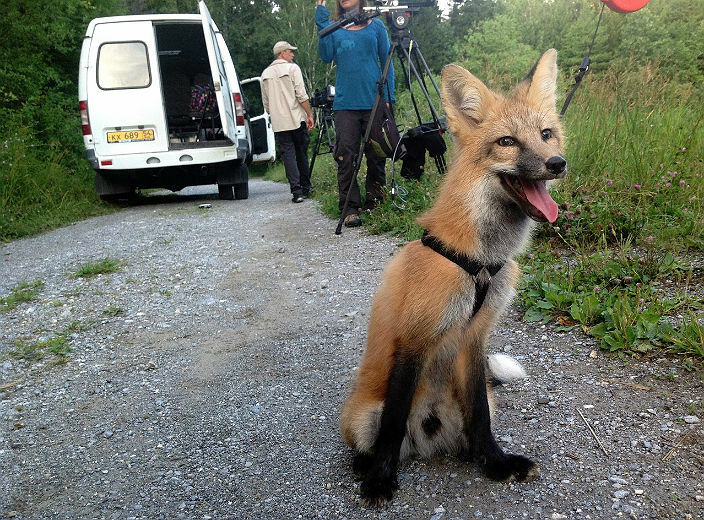 Throughout the experiment few traits of the variability that are also common for dogs appeared: foxes reacted to the particular names, recognized familiar people, expressed happiness due to the contact with them. The exterior of foxes also changed – curled tails, falling years and other traits appeared. The experiment showed that breeder adding destabilization to the upbringing and constitution of the animals causing the increase of variability amplitude and that gives rich basis for the selection and accelerating the pace of evolution. Belyaev believed that in some evolutionary situations selection can cause phenotypic variability, especially when variability occurs at a high tempo. Now the study of stress as the factor of evolution has became genuinely popular among geneticists and biologists in general. In Novosibirsk group of Lyudmila Trut, former Belyaev’s student, continues work on that topic, including the cooperation with foreign colleagues. One of the most recent papers, for example, is dedicated to the topic of genetics of rats domestication. During the experiment ‘additional’ feature of the theory appeared – now you can have a fox in your home as a pet. Written by Alexander Dubynin, translated by Nastya Parfenova. This article was first published in Russian edition of metkere.com.